19 November, Nederweert, Nederweert, Limburg, first calendar-year, wearing colourring, photographed (J Nagtegaal). 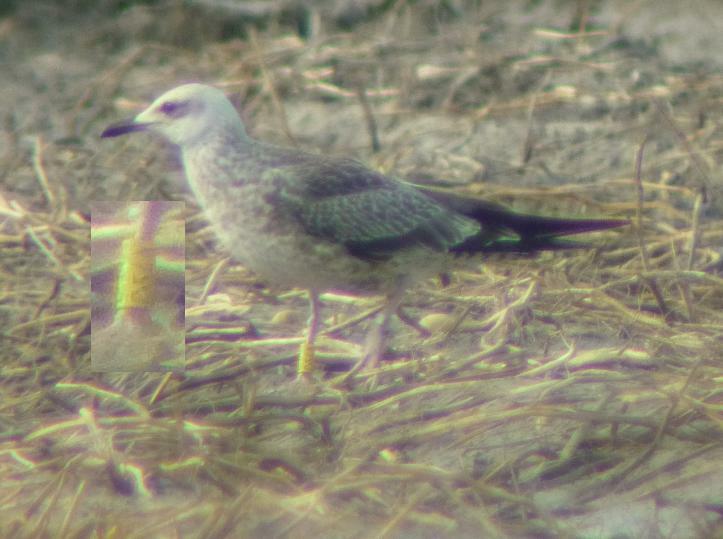 The bird photographed near Nederweert in 2010, the first for the inland Limburg province, had been ringed (yellow C54A on right leg) as pullus at Hamina, Finland, c 20 km from the Russian border, on 1 July 2010. The CDNA has decided to follow the recommendations by Altenburg et al (2011) enabling the identification of some well-documented but unringed second calendar-year birds. Annual Report 2011.